For part one of Nelson Lichtenstein’s essay, click here. The 192os, an era of reaction and rapid technological change, began with a formation, the Trade Union Educational League. through which William Foster sought to influence the trade unions of the 1920s into principles like Foster’s. The 1920s were an era not unlike our own time, so it is important to glimpse how the left functioned in a time of union retreat as it is to celebrate union radicals during those far briefer moments of dramatic advance. The TUEL was not a dual union, nor did it slavishly follow Moscow’s dictates, and the TUEL campaigned for amalgamation while at the same time “boring from within” the extant unions. The closest analogy today might well be Labor Notes, whose recent conference in Chicago was a big success. For a moment, Foster and the TUEL had good relations with Sidney Hillman of the Amalgamated Clothing Workers and John Fitzpatrick of the CFL. But then the Communist Party itself prodded the TUEL to take a more oppositional stance, so Foster was forced to divorce himself from even those with whom he had once cooperated. For both Foster, the CP, and progressive labor, this proved a tragedy. A more successful educational effort came from the Socialists, who under the leadership of A.J. 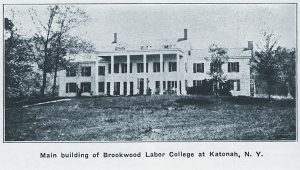 Muste, a Presbyterian minister radicalized by World War I, founded the Brookwood Labor School, of which the exclusively female counterpart was the summer institutes held at Bryn Mawr College. At first Brookwood had a cooperative relationship with the AFL, the garment unions and the miners especially, but also even some of the craft unions. Muste and other socialists saw Brookwood as a genuine institution of humane learning. Untutored proletarians from the mining camps and tenements would spend a full two years at bucolic Brookwood, in the process transforming themselves into labor leaders of depth and sophistication. But when the AFL finally broke with the Brookwood socialists in the late 20s and after the depression slashed union resources more generally, Brookwood had cut back its ambitious educational mission, create a more practical set of shorter classes, and it began to recruit a student body from more variegated set of backgrounds: workers of course, but also students, semi-professional organizers, New York intellectuals, and labor activists. Two features of Depression era political culture are important to recognize because the union left was able to take advantage of both. First this was the era in which the left, Communists certainly, but also Socialists, “captured the flag,” from the nativist and anti-union right. During World War I radicals defeated by vigilante mobs had often been forced to kiss the flag in an humiliating display of jingoistic loyalty. But after 1933, unionists and the left, and not only the Communists of the Popular Front era, displayed huge American flags in all their demonstrations and picket lines, as a symbol of the linkages between patriotism, the new powers of the federal government, and the cultural and ethnic pluralism that was becoming a hallmark of both the New Deal and the Left, especially as it was evoked by a figure like Paul Robeson, whose internationalism never eclipsed an even more powerful and progressive patriotism in songs like Ballad for Americans. Radicals of the 1930s also had an approach to partisan politics and to the state that was well beyond that of even the sewer socialists of the Great War era. Although Norman Thomas had won nearly 900,000 votes in 1932 on a program that foreshadowed many New Deal reforms, most of his voters were absorbed into the New Deal Democratic Party by the latter years of the Depression Decade. Thomas explained the demise of his party by declaring, with some justification, that “Roosevelt stole our program,” but the labor left gained a great deal by the theft. Indeed, one difference between the era of Debs and that of Roosevelt is that in the latter era the relationship between politics and unionism was embrocated in a fashion not possible a generation earlier. In 1936 the Roosevelt campaign created conditions that were necessary, if not sufficient, for the kind of shift in popular consciousness that could spark an industrial uprising. At the Philadelphia DNC, FDR had denounced the economic royalists eager to create a new industrial despotism. In October 1936 his motorcade toured the factory districts of Flint, Pontiac, and Detroit, winding its way along the narrow streets that separated one factory from another. No union, not even an organizing committee existed in most of those plants. But as autoworkers crowded the windows, some pouring into the streets, they not only cheered FDR but halted production for upwards of an hour. Then came FDR’s smashing 1936 victory, the greatest in 20th century U.S. history. Unorganized autoworkers, many second generation ethnics, gave him 80 and 90 percent of their vote. Detroit’s smallish Socialist Party quickly put out a leaflet. “You voted New Deal at the polls and defeated the auto barons. Now get a New Deal in the shop.” And so they did. But what happened to the Socialists? Socialists joined and lead the new unions, they helped found key liberal organizations l ike the American Student Union, the Congress of American Writers, the Americans for Democratic Action, and they were founders of third parties in Minnesota, Michigan, New York, and in Canada. They were anti-fascists. But we remember the Communists and not the Socialists when we think of the 1930s at the Red decade. Why? While the pacifist wing of the Party retained and even strengthened its oppositional distinctiveness in World War II, the Socialists found that as the new unions flourished, the raison d’etre for a separate Party collapsed. Brookwood folded up shop in 1937, with virtually all instructors and students taking posts in the new CIO. But there was more to it than that, and the Socialist demise in the 1930s holds lessons for us today. Socialists saw their dreams fulfilled in the CIO, the new welfare state, in the Roosevelt Administration, and in an internationalist fight against fascism. So many radicals joined these new institutions and movements even as they knew that an independent socialist organization, radical and critical of even Rooseveltian liberalism, was important to preserve. The Reuther brothers and many other former union socialists knew they would not be leading such an organization, but they still wanted it to exist. Now, you might say that Thomas and the few remaining pacifist socialists were destined to isolation, marginalization, and sectarianism during an era when 16 million Americans joined the Army and millions more poured into the war plants in a gigantic effort to defeat Hitlerism. Meanwhile ex-socialists like Reuther, David Dubinsky, Clark Kerr, Joe Rauh, Reinhard Neihbur, and Paul Douglas became leaders of post World War II liberalism, trying to push the New Deal to the left, sometimes succeeding and sometimes not. But the small band of socialist/pacifists would soon have an outsized influence on human events. Men like Bayard Rustin and David Dillinger denounced the war, denounced the Jim Crow army, denounced capitalist imperialism. The government jailed them, but out of that experience they emerged as cadre for the nascent civil rights movement and the opposition to the Cold War and later the war in Vietnam. Rustin would become the key aide to Martin Luther King from Montgomery to the March on Washington and Dillinger would spark the anti-Vietnam war effort a few years later, even as the powerful generation of ex-socialists remained silent. The lesson here is clear. Socialists have to walk a tightrope between sectarianism and participation in the great mass movements of our time. They have to maintain a visionary sense of the future. Even as a minority, they have to be majoritarians, hopeful that they can convince millions to see the world the way they do and act on it. The Communists offer a dark counter example. Because of their allegiance to the USSR, these Reds were able to retain a cohesive Party for another generation, and in this sense the official anti-Communism which descended on the U.S. politics as early as 1940 enhanced the capacity of the CP to continue as a coherent organization with a singular perspective, although, as Robin Kelley points out, in Alabama most black Communists had difficulty distinguishing between the agenda put forward by the Party and that which was Steelworker praxis and doctrine. Although we once saw Communist Party investment in the USSR as their most distinctive characteristic, most historians today focus on the anti-racism practiced by Communist cadre, both in the unions and the community. They were not the only white anti-racists; mainstream, Northern Protestants were becoming increasingly active on this issue, likewise the World War II war resisters and the African-American church itself. Well before the 1960s, trade unions with a larger African-American membership grappled with this issue, especially acute in the South in the years immediately after World War II. 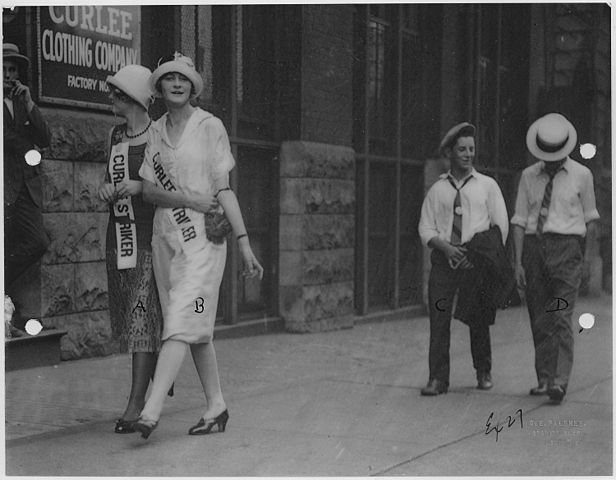 In both Winston Salem and Fort Worth, Communists in the FTA and the Packinghouse Workers found that a plurality, even a majority of white workers, threatened to abandon the union, either through apathy or active hostility. In Winston Salem this opened doors to R.J. Reynolds and McCarthyite politicians to destroy the genuinely multiracial, 10,000 member FTA Local 22; in Fort Worth a resurgence of postwar racism, exacerbated by an industry-wide union defeat in 1948 and 1949, created a sharp divide in union ranks, eventually resolved when a cohort of Communist oriented African-Americans and Latinos took over the union from recalcitrant whites. And this was a pattern repeated throughout the upper South where the Ralph Helstein, prodded by Chicago Communists in and out of his union, pushed forward with an aggressive anti-racist educational campaign within union ranks, designed to shift defacto leadership in many a Southern local from conservative and resentful whites to a new generation of black WWII veterans. One fruit of all this was that when Emmitt Till was murdered in 1955, the Packinghouse Workers were ready and willing to help other Chicago liberals and leftists make his case a highly consequential cause celeb. Socialists in an era of union retreat and defeat. When capital is on the offensive radicals inside the unions – or any other progressive institution – have difficulty creating a critical distance between themselves and those leaders, especially in the union movement, where the struggle for survival is an everyday reality. With employers and the GOP eager to make labor as impotent as possible, it is hard to generate an oppositional movement within any individual union – something that was commonplace between he late 1960s and the 1980s. And this is likely to be even more true in the post- Janus world, after the Supreme Court slashes public sector union revenues by 30, 40 or 50 percent. What’s more, as leading unions tilt left, endorsing the rights of the undocumented, creating new popular fronts with gay, feminist, and environmental groups, even criticizing the police, the space for the kind of criticism once put forward by the drafters of the Port Huron Statement has shrunk. But all this means is that those of us who declare ourselves socialists must reaffirm our radicalism, envision a truly revolutionary anti-capitalist future, and understand that today, as in Gilded Age America, the our cause is increasingly that of a radical democracy struggling to be born. Nelson Lichtenstein is Distinguished Professor in the Department of History at UCSB, where he directs the Center for the Study of Work, Labor, and Democracy.